The ETF Women’s Committee gathered in Brussels on the 4th and 5th of March to take stock of the ongoing gender activities at the ETF level and to plan the future work. 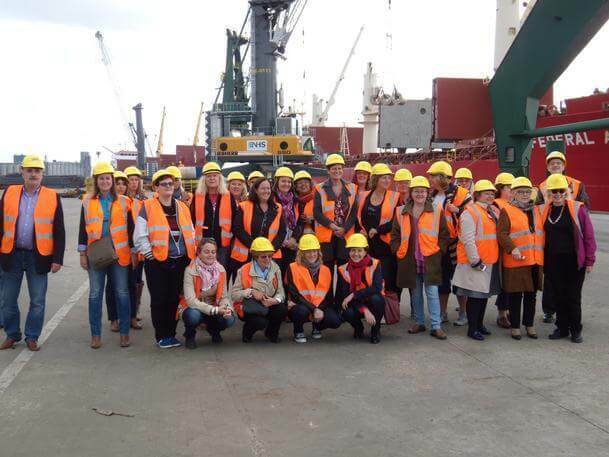 Ahead of the International Women’s Day on 8 March, the Committee welcomed the determination showed by women transport workers across Europe in getting gender on top of their trade unions’ agenda. Transport is still one of the most segregated industries, with women concentrated in less visible, administrative jobs while men make up the overwhelming majority of mobile personnel. The economic crisis is one of the main factors encouraging this tendency. “The ETF member organisations need to do more to get the industry meet women’s needs. There is a huge need of training among rank and file women unionists, but also among union leaders. They’ll need to give a better visibility to issues that impact working lives of women transport workers in an industry where workplace culture is still very much male-centred”, Collette Parsons, Chair of the Women’s Committee said. With regard to training, the Committee plans to finalise a third module of the ETF training package, focused this time on health and safety. This will be a valuable addition to the existing modules on empowerment and on the gender dimension in collective bargaining. The Committee also decided to go ahead with a ‘zero’ workplace violence campaign which will be soon part of the ETF web-site. At the core of the ETF gender work remain topics such as equal pay and equal access to jobs in transport. The ETF Women’s Committee looks forward to its mid-term conference to be organised in spring 2016, an opportunity to bring together female union activists and leaders to further plan actions meant to make transport a better workplace for all its employees, irrespective of their gender.